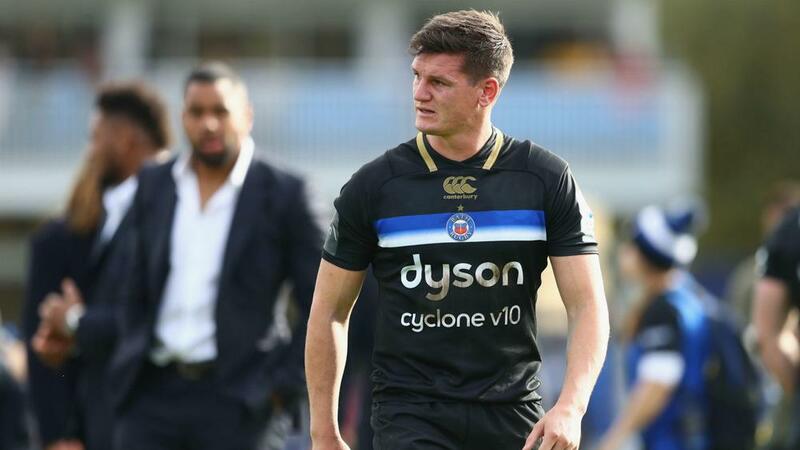 Freddie Burns apologised for a costly late gaffe in Bath's 22-20 defeat to Toulouse which left him at an "ultimate low" and Exeter Chiefs were held by Munster in the European Champions Cup. A smiling Burns was already celebrating what would have been the winning try after bursting away at The Rec five minutes from time, but Maxime Medard flicked the ball out of his hand as he went to touch down far too casually. The five-eighth also missed a simple penalty after scoring a try and 10 points from the tee and was distraught after Toulouse held on for a Pool 1 victory. Burns, who was hauled off after his botched try, tweeted: "Love this sport for the highs and the lows. Today was an ultimate low and a mistake I'll learn from. "I'll continue to give my best as I always do. Lastly just apologies to the boys and the supporters for the mistake. I'll bounce back... thanks for the support." Sofiane Guitoune claimed a double and Medard scored the opening five-pointer as four-time European champion Toulouse edged a tense encounter which it really should have lost. It was honours even at a windy Sandy Park, where CJ Stander's converted try 17 minutes from time earned a 10-10 Pool 2 draw for Munster. Luke Cowan-Dickie scored the only try of a first half which ended with Exeter 10-3 up, but Stander crashed over from close range and Joey Carbery added the extras to deny the Premiership leader. Montpellier got off to a winning start in Pool 5, Edinburgh having two tries ruled out in a 21-15 victory for the Top 14 heavyweight. Racing 92 edged out the Scarlets 14-13 and there was also a Pool 4 victory for Ulster, the Pro14 side seeing off Leicester Tigers 24-10.